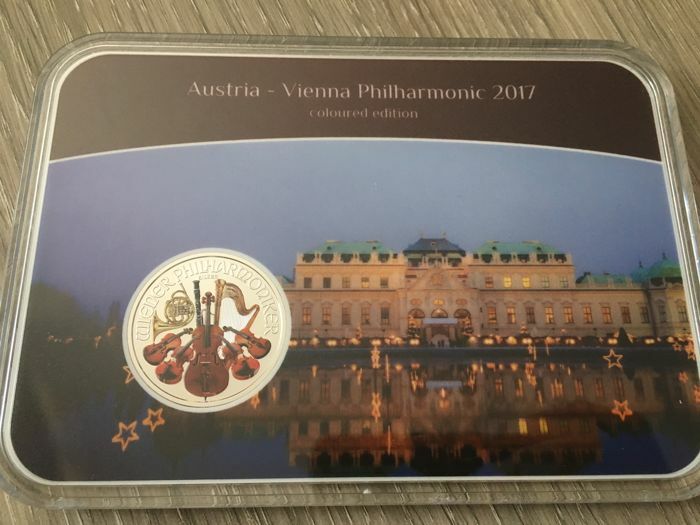 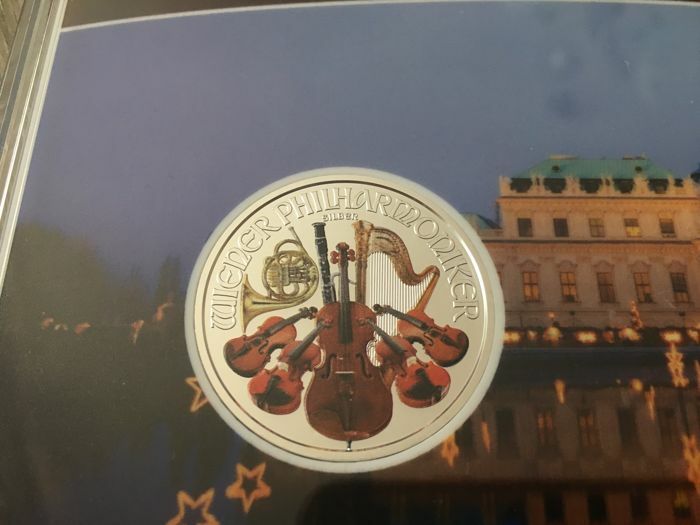 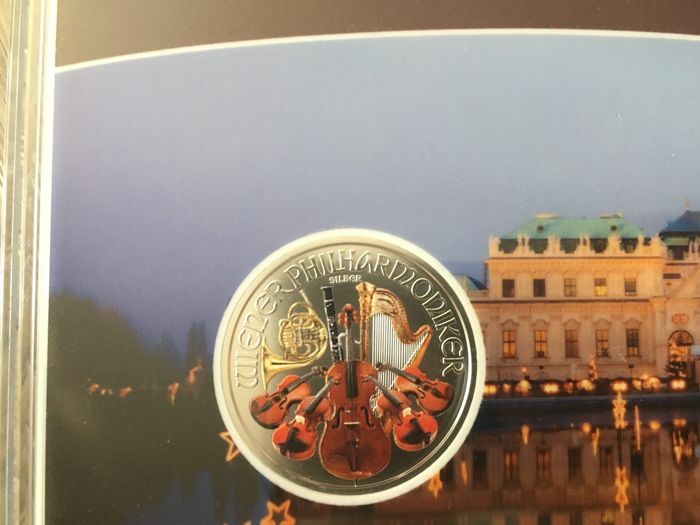 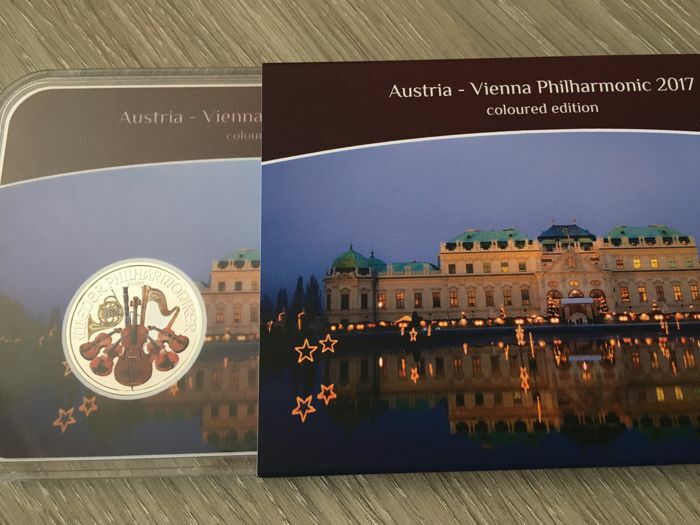 Austria Vienna Philharmonic 2017 1 Oz silver 999 Colored Version Plastic Blister Outher Cartboard - Beautiful ! 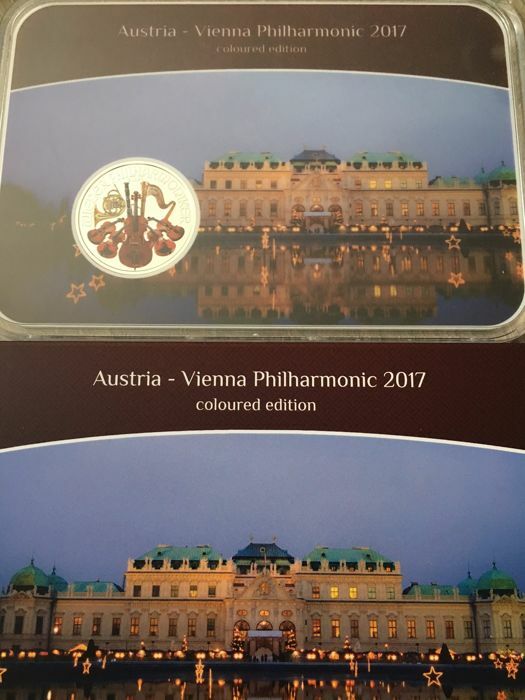 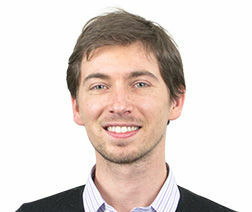 See pictures for a good impression. 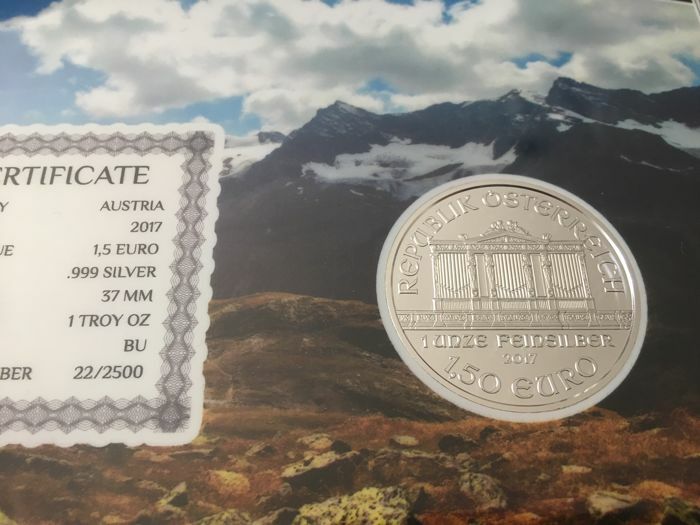 MINT CONDITION ! 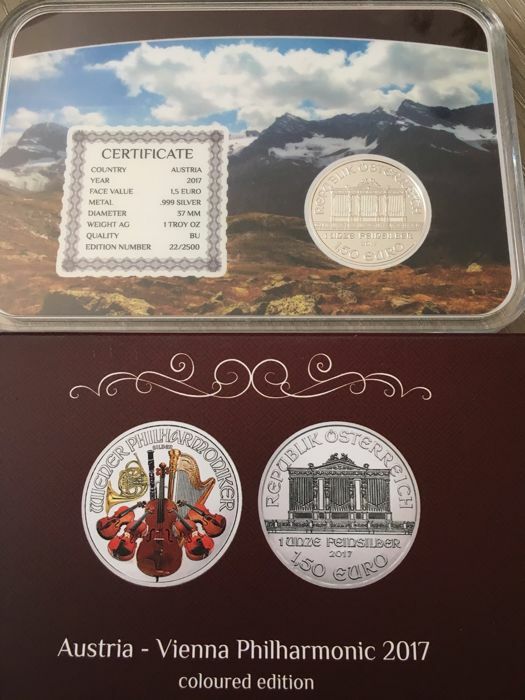 Very good and nice coin and packed very well. 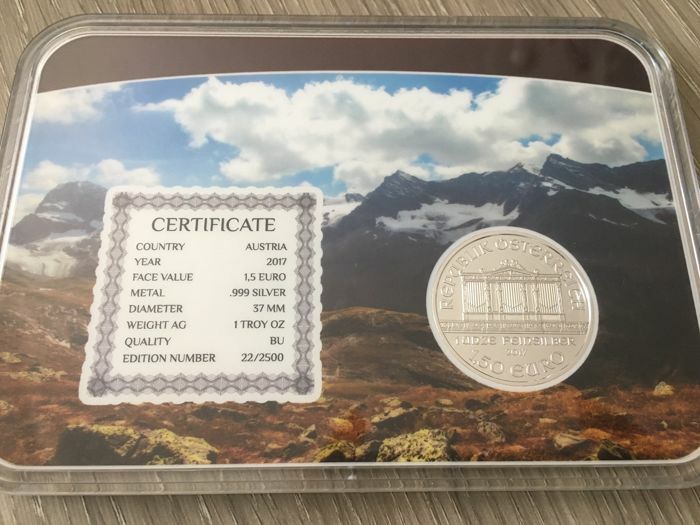 Look on my other auctions you can find other silver coins , ruthenium plated, gold plated and holograms version.